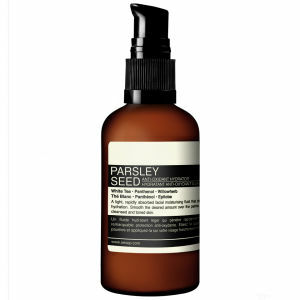 Parsley Seed Anti Oxidant Serum leaves your skin smooth and firm. A little dry, not that useful as others have reviewed. After I used this my face feels so soft, smooth and the smell is so natural. 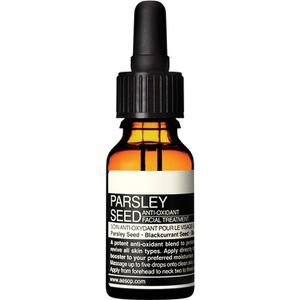 Very good Parsley Seed Anti Oxidant Serum with a reasonable price. 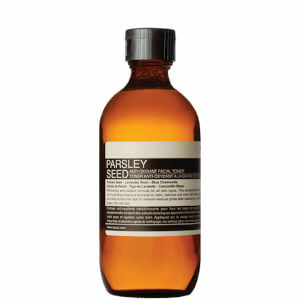 The Parsley Seed Anti Oxidant Serum is pretty good especially for Winter. It is comfortable with my dry skin, and the price is very reasonable! i had a free sample of this arrive with a previous order - and i tried it and was very impressed - hence i bought some more. the thing i was most impressed with was the speed with which it was absorbed. and the other thing i liked was that it didn't feel oily afterwards or leave the skin looking shiny. it has a very mild scent somewhere between freshly cut grass and hay. unlike most moisturisers, it isn't a cream - it is a transparent gloopy liquid. the dropper thing is actually a really good way to dispense it - even though it leaves the bathroom shelf looking rather medicinal!